You have been asking and we have been listening! So many of you are reaching out to learn about the Universal Medicine Wheel for Soul Recovery, and how you can have these gatherings in your own communities. The Addiction Alchemy Field Guide Workbook will help you assemble your tribal community for healing, empowerment and adventure! The Workbook will give you easy to follow steps to facilitate your own Addiction Alchemy Inner Journey Universal Medicine Wheel gatherings. The Addiction Alchemy Field Guide Manual, Addiction Alchemy Sacred Art Compendium, and Addiction Alchemy Affirmation Oracle are coming in 2019. 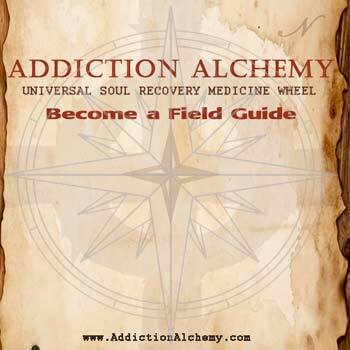 Click here to purchase the Addiction Alchemy Field Guide Workbook. 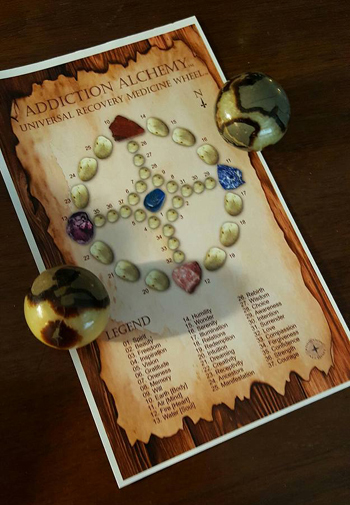 Addiction Alchemy™ is a holistic, self-help transformational, multi-dimensional pathworking system for addiction recovery, based on the Universal Medicine Wheel. Because it is grounded in the Observable Universe, the Addiction Alchemy Universal Medicine Wheel can help anyone regardless of race, culture, gender or belief system to transform the process of addiction at the core level by restoring wholeness through the awareness of the interconnected web of all that is. Addiction Alchemy recognizes the process of addiction, in the broadest sense of the word and in its many forms, as a powerful catalyst for change, and a touchstone of transpersonal emergence and expansion. Since Addiction Alchemy considers the awareness of the process of addiction as the actual means by which humanity claims free will and evolves and emerges, it works with any addiction and most especially "hidden" addictions, attachments and other issues that may not be readily recognized as being rooted in addictive processes, such as codependency, phobias, negative/compulsive thought and behavioral patterns, high functioning autism/Aspergers, physical and mental illness. The power of the Medicine Wheel is in its shape; It is a circle. Within the wheel, are the four directions which represent the stages of healing and empowerment, helping one to find balance, wholeness and centeredness, putting you back in touch with your essential source. Life is cyclical, it is not a linear process. Consequently complete recovery isn't about just getting from point A to point B. The wheel makes recovery an organic, cyclical process, helping you to master your life by giving you the keys to bring into awareness the interconnectedness of all things through the very process of life itself. Addiction Alchemy and the Medicine Wheel is a portal to the place beyond sobriety, putting into the hands of the people the ability to establish true tribal communities, which are the sacred containers that are required for the synergy of the collective wisdom to take seed and bear fruit in the garden of the New Earth. The strength of the Medicine Wheel lies in its ability to provide immoveable context to help you "track" your life experience. North, South, East, West, Up, Down and Center are inarguable guide markers and yet remain relative to YOU! You are the center of your universe and you are the one making this trip. Addiction Alchemy allows you to meet yourself where you are at on the map of your own consciousness, and as such can help you navigate your life with a better sense of direction and momentum in time and space. Each new direction on the wheel will fine tune your awareness, alerting you to signs along the way to help keep you on YOUR path, giving you often hidden information about yourself and your world, validating that you are exactly where you should be in your process and most of all that you are making progress! As you work with your own energies, environmental energies, unseen forces and most importantly other people the wheel helps you to remove negative influences and increase the flow of positive energy into your life. Through your power of choice as you make new, different decisions you develop greater peace, clarity, focus, courage, wisdom and understanding. You access parts of yourself that have been incubating within, potentially for a very long time! You come into conscious contact with your own wholeness. As we travel the wheel we become ever increasingly aware of how to get present to our life, transmute our past, re-script our future, by living in the now, we transform our life by becoming centered within our Self. We heal our lives on every level as we heal our relationship to our self, to others and to the world. 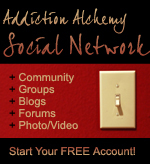 Addiction Alchemyï¿½ helps us to reconnect to our center and integrate all that we are, not in spite of our addiction(s), but because of them. Exploring our addictions can bring us into contact with parts of our psyche and our potential that we would otherwise have never known existed. We ultimately come to understand as we come full circle that as bad as it might have been, the seeds of our own greatness have lain dormant within our darkness and those things we could not face. We see the whole truth about ourselves and that we do have the courage to face the truth, integrate it into the light and own our legacy because that is where our true fulfillment lies. Every human being that heals the process of addiction within themselves heals the world. This, in fact, is one of the key messages of addiction: Physician Heal Thyself. 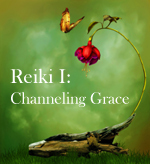 Includes everything you need to know to become a Field Guide and host your own Inner Journey circles. Addiction Alchemy helps us work through addictions, not around them. Paradoxically, as we travel the wheel we find that our addiction and the pain it has wrought in our life has actually served us. It opens inner doorways to places within ourselves that have been hidden from view. 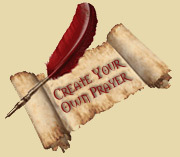 The good news is that through this time of restriction as we work in our process, the true power of our ability to create our life may come into sharper focus than ever before and as we own our choices we begin to understand the depth and breadth of our creator skills. Sign up for the Addiction Alchemy Recovery e-Messages, motivational and inspirational emails delivered right to your inbox! These powerful messages are designed to support you in your recovery. SIGN UP NOW! Addiction is our bodies way of letting us know that something is amiss and out of order. If we suffer from addiction our body and mind is making a cry for help and a call to be heard. Humans are incredibly self-healing beings. Our bodies are designed to be self-healing. Many people who suffer from addiction think that they are weak willed. In reality, it is that personal boundaries have been drawn around a set of mistaken or distorted beliefs that may be fostering the need for the addiction. In other words, the will is very strong, just misdirected and protecting an illusion. I believe it is a case of mistaken identity and we often become trapped because of this mistake. In a sense, it is like we have ventured into quicksand. In fact, it is my personal theory that addiction comes from a misguided attempt to create balance and to raise our vibration and energy levels, much like a moth mistakes the light source of the flame for it's true geomagnetic guide, the moon; or the whale is lured to the beach by underground sonic disruptions. It doesn't matter if it's shifting tectonic plates or Naval sonar that causes the disturbance, we need to find out what is rocking our world. For it is through the discovery process of our unsolved personal mysteries that we are able to re-establish the flow of the blocked energy and create a life that naturally sustains and maintains the higher energy and the healing that we have been seeking, in a way that supports and enriches our life. And there is only one way to accomplish this and that is with some help. It is absolutely vital that we exercise our power of choice and seek and ask for help. There is no way out of quicksand without assistance. That's just the way it is. Addiction Alchemyï¿½ is not just about the healing of your addiction to 'some thing or some one', it is about the healing of YOU and the recovery of your hi-jacked personal power! 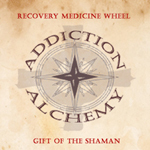 Not only can Addiction Alchemy and the medicine wheel help facilitate the healing of addictions, it can actually help you go beyond healing and into a true fullness of life, acting as a gateway to the fulfillment of your highest and finest good and laying the groundwork for the realization of your deepest callings and desires in life. ADDICTION ALCHEMY AFFIRMATION CARD DECK COMING SOON! 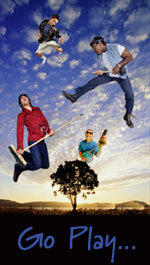 Many people maintain sobriety at great cost: their ability to have a full experience of life. They still are not truly free, because now their addiction is fear. Haunted by a pervasive fear of the addiction recurring, they tip-toe through life. Although it is crucial to recovery, the prize is not sobriety. The ultimate prize is life and the ability to experience it in true freedom. If you have been sober for a significant amount of time, yet still struggle with fear and anxiety, the Medicine Wheel can help you work through and release your fear by actually treating it as an addiction. The wheel can help you go deeper in your process and become aware that there is more, much more to discover and explore. Addiction Alchemy will help you explore the shadow and light of addiction. We all know about the dark side of addiction all too well, the shadow and specter of pain and suffering that looms over every addicts head, but have you ever thought about what separates addiction from passion? If we take the personal energy out of the process of addiction and look at it's archetypal energy (an organized pattern of behavior), the Addict (which resides in us all) has much to teach us. For at the opposite spectrum of the path of pain, suffering, destruction and the imprisonment of our Free Will, lies the absolute freedom and peace to create an amazing life through the positive forces of love, passion, devotion and choice. Energetically speaking, the slave can become the master. Depending on where you are now, it may be difficult to believe that a habit that is destroying your life can be shifted into a miraculous, healing, renewal of the spirit that creates magical transformation in your life. I can tell you that it is possible. That's where the alchemy comes in: You will learn, see, smell, taste, hear, feel and experience the answers to your questions and the darkness will be revealed by the light. 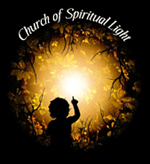 You will become a light worker, shaman and an alchemist in your own life and you will come to understand that the power of the light is carried forth through the medium of truth. The alchemists most powerful tool is the truth. Addiction wreaks havoc not only on our bodies and minds, but attacks and cripples our Will - bringing darkness to the part of us that drives our ability to create a beautiful life, filled with peace, joy, love and light. 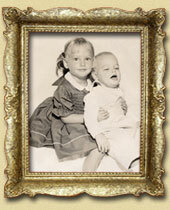 Addiction Alchemy can help you to restore the function of your Will Center to it's rightful owner: YOU. In order to do this it is important to understand that your center, your inner flame, which is at your core and encompasses ALL of you is already complete. You are not flawed. That's why it's called addiction recovery. You can't recover something you don't already possess. Your connection to your core has simply been cut off or suppressed for one or more of all the various reasons that thoughts, feelings and beliefs can distort our ability to connect with our power center and consequently robbing us of our ability to be truly free to stand in our own power. Re-establishing that connection and that flow of information is our main goal. Once that connection is restored your Will Center can be clean and clear to inform your life so that you can create a new reality or you will see your existing reality in a new light and you will regain your freedom. Some people report a feeling of the addiction being "taken from them" as the Will Center is re-integrated. If there is no void, there is nothing to fill. When you are operating from your core you are connected to all that is and your highest and finest good will take you out of sorrow and suffering and into grace and gratitude, wellness and wholeness. As your cup begins to overflow, your healing and empowerment will naturally serve all those around you. As you heal, you will notice those around you begin to heal, as well. 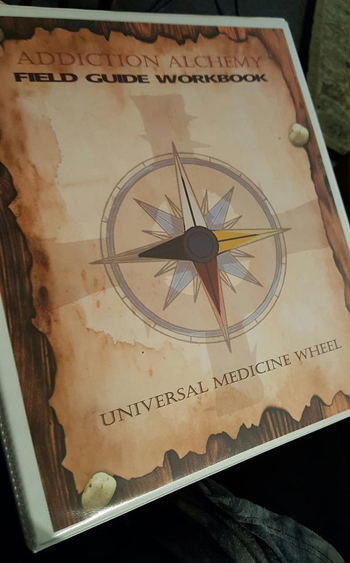 The best way to experience the power of the Medicine Wheel is to take a journey on the wheel. After all, no two people have the same experience of life and no two journey's are the same. Yet, this is precisely what empowers the Medicine Wheel journey. When the diverse energies that are brought forth by a group of people who are journeying together is co-mingled, powerful healing, enlightenment, consciousness, transformation and massive openings of creativity ensues. The wheel is the mechanism that releases these energies and allows the members of a group to heal each other by healing their own self. Addiction Alchemyï¿½ supports integrative medicine and holistic recovery. Not only is it a complimentary modality in and of itself, it can play an important role in the world of self help in treating addiction by guiding us into accurately reading and charting a course for our own deeply personal and profound menu of care, assisting us in forming a complete integrative medicine plan for our own recovery and empowerment. It takes an army to move through our own personal Armageddon and integrative medicine can help us draft that army into service! Integrative Medicine is the marriage of mainstream medicine with energy medicine and alternative practices. Integrative medicine is slowly becoming recognized and introduced into mainstream healthcare. Why? Because it works. Consider adding Addiction Alchemyï¿½ to your Addiction Treatment and Recovery Plan now. If this is your first time delving into your addictions or if you are not even sure you have an addiction, Addiction Alchemyï¿½ is a great way to explore all your options. Beyond healing there is peace, purpose and passion. Get on the Recovery Medicine Wheel: Let your life speak!